Ants are social insects that live in colonies. These insects are known to enter buildings to seek shelter and forage for food. Some of the common ant species include sugar ants, fire ants, carpenter ants, black ants, and Argentina ants. Although their intentions are typically harmless, they can become a disturbance when they start infesting food sources or biting individuals. Being bitten by ants can be painful and some ants are also venomous. Sight of ant nests: Nest sites typically look like small piles of dirt or soil. These nests can be located in quiet, dark places such as walls. Suspicious pathways: Ant trails that track in and out of your premises are signs that a nest is nearby. This happens because ants leave a pheromone trail that leads to a food source. Sight of live ants: If you frequently see a large number of live ants when you prepare food in your restaurant kitchen or office pantry, you may well have a problem and need to do something about it quickly. Ant baits: An effective method of controlling ants and are safe to use around children and pets. Products contain stations, granules, and gels that are protein or sugar-based. Clean confirmed or potential entry points: You can remove the chemical trail pheromone by cleaning these areas with detergent. You might want to spray a non-repellent residual insecticide around the perimeter as well. Seal and caulk crevices and cracks: You may not be able to seal all these openings because ants are very industrious in finding entry points. However, it is still helpful to eliminate as many passages into your premises as possible. Prevent tree branches from touching your building: Try to trim all trees and branches that surround your premises. Useful tactic to prevent carpenter ants. There are nearly 1,000 ant species that can be found in our country but the most common ants you will come across include odorous house ants, carpenter ants, pavement ants, acrobat ants, pharaoh ants, and citronella ants. I sprayed insect repellant at the ants but they just keep moving. What should I do? Consider using a poison bait. You need the ants to bring this poison back to the colony, which eventually kills both the worker ants and the queen. Do carpenter ants nest in a building’s insulation? Yes, they can and they do nest in insulation. In this instance, you may have to pull out the insulation from the affected area to facilitate treatment and control measures. Need Help with Ant Control Today? 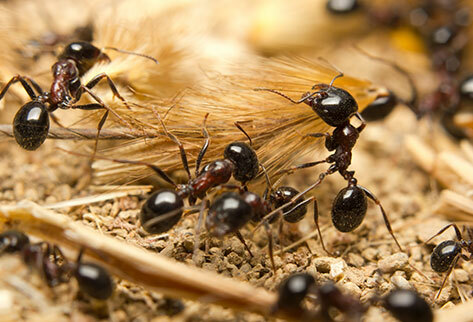 PEST is the ideal pest control provider you can look for when an ant infestation is spiraling out of control. When all your DIY measures do not show results, we are the professionals you can rely on to achieve total ant elimination. At PEST, we have been in the business for over 30 years. Today, we are widely recognized as a leading pest and ant management specialist that handles residential, commercial, and industrial pest control needs. We continually strive to ensure adequate protection for your property via a series of innovative solutions that are responsive, effective, eco-friendly, and safe. Start getting rid of ants from your premises the best way today. Call us at 212.945.0868 or email us at info@pesteliminationsystems.com to get started. Though moderate pain is usually the case here, people with reactions from allergies can experience face swelling or itching, chest tightness, breathing difficulty, dizziness, anxiety, diarrhea, vomiting, nausea, hives, wheezing, or sneezing. 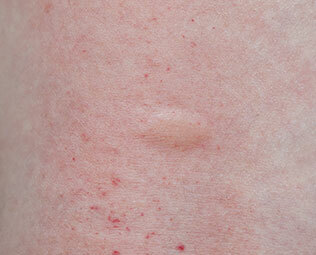 Allergic reactions can occur in people who have known allergies to ant bites and bee or wasp stings.